Want to know how to become a United States citizen? Here are some helpful directions for you. American citizenship is acquired by birth or naturalization, according to the Department of Homeland Security. To be a citizen by birth, a person has to be born in the United States or territories subject to U.S. jurisdiction. American citizenship may also be granted to a person born in a foreign country of American parents. 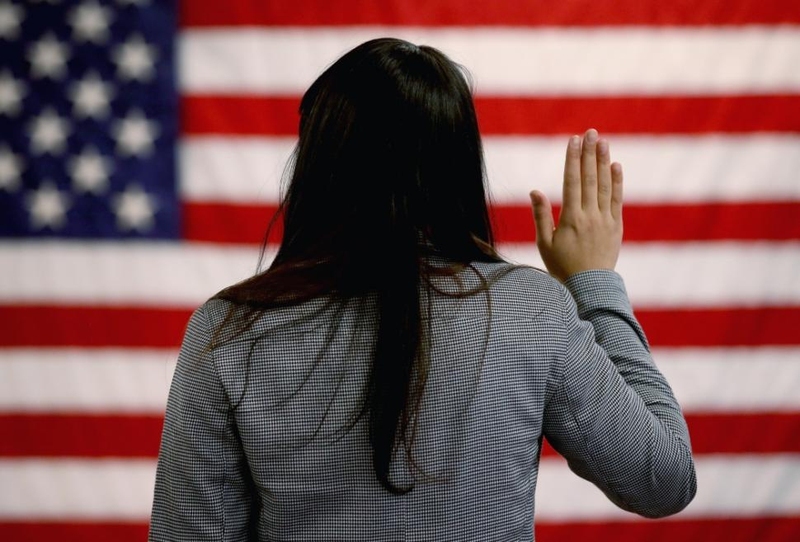 To acquire citizenship by naturalization, the applicant must meet requirements that include passing English and civics tests. Applicants are required to have resided for at least three months in the location where the application for citizenship is being filed. Applicants must have possessed valid Green Cards for at least five years. Applicants are required to have lived continuously in the U.S. for at least five years. Applicants must reside continuously in the U.S. during the period of the application. Applicants are required to be of good moral character. Applicants must be able to communicate in English and must demonstrate an understanding of U.S. history and government. U.S. citizenship can also be acquired through marriage. There is a special citizenship application process for Green Card holders who are in the military.